Swedes have long since integrated IT into their modern lives, regularly topping country tables in terms of internet usage per head of population. Given the vast geography of the country, new technology is enabling people to keep in ever closer contact with their friends, family and favourite brands. 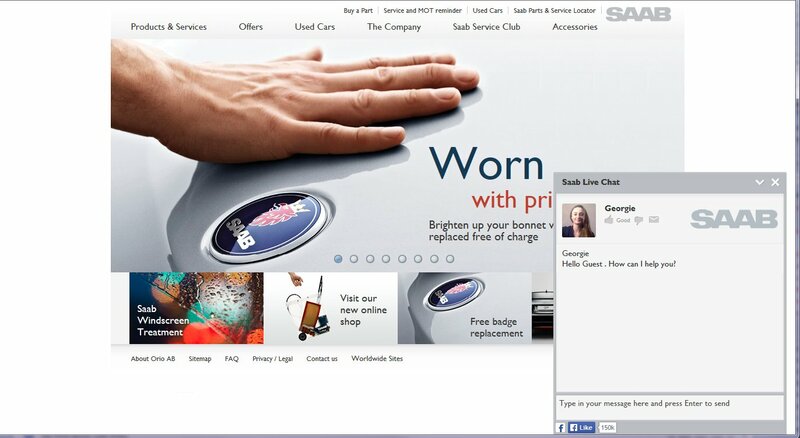 Like many leading companies in their field, Saab Parts UK has now introduced a “click to chat” facility for any UK owners visiting their website. Selected via a “pop up box” at the bottom right of the homepage, you are instantly connected to a courteous and knowledgeable advisor, based in the UK, who can help answer your query quickly and save you time navigating around the website. To see the comprehensive range of Saab fixed price service and repairs or ask a question directly to Saab Parts at a convenient point to you simply visit the Saab Parts UK homepage www.saabparts.com/en-gb/uk .